Tatiana Romanova-Grant was born and raised by a family of scientists in Moscow. In 1964-67 she studied at the Moscow Institute of Fine and Applied Arts ''Stroganovskoe'' and graduated from the Moscow Krupskaya Pedagogical Institute (1968-73). She was a very active member of the Moscow artistic community, and was quite successful as an artist. For several years she worked as an artist-scenographer at the Moscow Mayakovsky Academical Theatre and several independent drama and musical theatres in Moscow, creating staging and costume designs. During this time period she also was very active in cinema, scenography, and advertising, and worked as an illustrator for various publishing houses in Moscow. She was a designer for the Drama Studios of Moscow Central TV, and also taught art and language. In 1974 she began to study the restoration of ancient art, working with the masters at the Grabar Restoration Center in saving and bringing to life icons from the 13th to 18th century. She also began restoring tempera icons and frescoes for the Russian Orthodox Church, as well as individual collectors. Her restoration work led to painting new icons, and she learned from masters in monastaries as well as her study of ancient church writings. 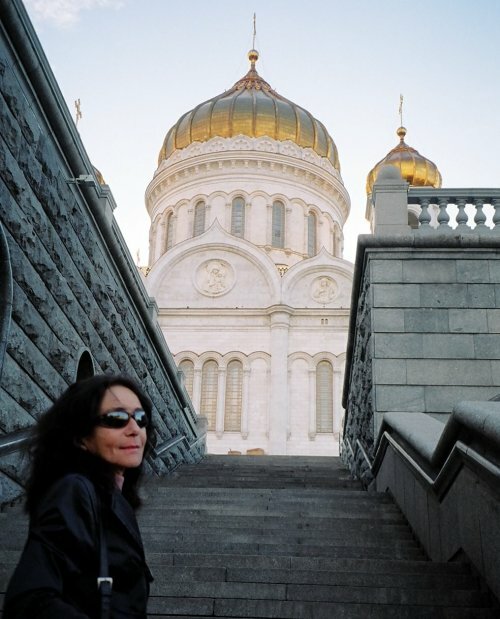 Since then she has been commissioned to create new works by collectors and churches throughout Russia, France, England, South America, Asia, and the United States. Tatiana Romanova-Grant uses ancient traditional techniques rooted in Byzantine, Middle Age, and Renaissance art. For her icons she uses specially cut wood, and works highly professionally with 23k gold leaf for backgrounds and sophisticated gold line graphics. In addition to icons and frescoes, Tatiana also is a master at the rare art of creating traditional icon eggs. These rare eggs have been displayed in museums and exhibitions throughout the world. She also has produced many award-winning miniatures, some of which have been reproduced as popular Christmas cards. Since 1989 Tatiana Romanova-Grant has been working out of San Francisco and Santa Cruz, California. She currently has a small studio in the Santa Cruz mountains. In each of her works Tatiana strives to create a profound sense of supremacy of the mystery of life. They are "windows into eternity", and she sings "Alleluia to Love" by each of her work. Tatiana Grant is an artist working in a wide range of art forms, from miniature to fresco. Her techniques are rooted in Byzantine, Middle Age, and Renaissance. She is a master iconographer,and for her icons uses specially cut wood, makes her own gesso based on sturgeon or animal glue, works highly professionally with 23k gold leaf for backgrounds, and sophisticated gold line graphics, "assist", egg tempera. She is using the same materials and techniques very successfully working with secular and modern images as well. She has excellent skills and "a very good eye" in frescoes, both religious and secular, and tromp 'loels using both egg tempera and acrylics. Tatiana Grant's oil paintings show deep involvement in this media, bring up the best of its ability to create depth. Her manner of painting, color gamma, her style and hand, is easily recognizable in all of her works. All of Tatiana Grant's art is highly symbolical and spiritual. One can see a tendency of story-telling in her images, sometimes very bold, sometimes very sophisticated. Icon painting is a mature art based on a profound understanding of the past but is, too, a complex art difficlt to capture in words since everything in it is expressed iconographically, in symbol, in artistic forms that invariably have a specific inner meaning. To be understood, the artist as well as the viewer needs a special understanding of linear design, composition, space, color, and light that have evolved over centuries. Tatiana Grant's art, distinguished by the finesse of its technique, bears the imprint of that traditional royal splendor. But even as she follows the traditions of the canon, she gives new meanings, new interpetations, to themes through subtle deviations. This is the art of nuance and it is central to being a great master. The viewer is given opportunity to discover remarkable purity and peace in her works. She has discovered a whole new world of possibilities for painting which creates totally new perspectives, forms and volume, thus changing the proportions of a given structural interior space. The depth perspective in Tatiana Grant's ceiling paintings, the surprising effect of a landscape painted on blind windows, or a view of a suite of rooms on a closet door, visually transport the viewer into the illusory world of he mural she has created. Indeed, Tatiana Grant's mural decoration can transform darkness into light; the hundrum into the exotic. It can lift the spirit of even the meanest room. Her paintings on canvas, though full of passions, create a profound sense of supremacy of the mystery of life. They are also "windows into eternity", as well as her icons, Alleluia to Love, which she sings by each of her work. Some articles are not listed above. All the substantial bibliography from the Russian period perished in the 1991-92 winter flood in Santa Cruz mountains, and it is almost impossible to regain it. 2002 First Place -International Glory Be Show- Johnson-Humrickhouse Museum, Coshoston, OH. 2002 Honorable Mention in 3-D, International Exhibition of Fine Art Miniatures, The Miniature Painters, Sculptors, and Gravers Society of Washington DC. 2001 First Place, ''God's Show'' Art Connections Gallery, Davis, CA. 2001 Choice Award, National Christian Fine Art Exhibit, Farmington, N.M.
2000-2001 Choice Awards, National Christian Fine Art Exhibit, Farmington, N.M.
1999 Merit Award, Miniature Exhibition, The Blue Ridge Arts Council, VA.
1998 Choice Award and Third Place in 3-D. Sixth Annual National Christian Art Exhibit, Farmington, N.M.
1997 Second Place-''Sacred Art 97'' The Billy Graham Museum, Wheaton, IL. 1997 Three First Places- National Christian Fine Art Exhibit, Fine Art Council, Farmington, N.M.
1996 Best of Show''Art and Religion: ''The Many Faces of Faith'' Wayne, PA.
2003: Laukershim Art Gallery, Los Angeles, CA. 2003: 12th National Exhibition, Northern Colorado Artist Association, Fort Collins, CO.
2000: CIVA "Window into Eternity" traveling Exhibition. 1993: The Sausalito Art Festival, Sausalito, California. 1992: The Museum Show at the Metropolitan Museum, New York. 1991: Oakland Museum, Oakland, California. 1990: The St. Vladimir Seminary, New York. 1990: The Russian Festival, San Francisco. 1989: Nakhamkin Gallery, San Francisco. Numerous exhibitions and awards are not listed above, because all substantial information from the Russian period perished in the 1991-1992 winter flood in the Santa Cruz mountains, and it is almost impossible to reconstruct this information. The Twelve Steps for Orthodox Christians by Very Rev. Meletios Webber, Conciliar Press, 2002, cover and illustrations. Bridget Building Images, all catalogues of 2000-2003.